Low-carb diets can induce ketosis and to stay in ketosis we need to decrease consumption of foods which contain carbs, like one of our favorite breakfasts for example, an oatmeal. Although when we are on low carb diet, among many meals we say goodbye to oatmeal, there are low-carb breakfast meal that doesn’t use eggs, for example something called n’oatmeal which is ideal replacement and taste good as well. So, in the mornings, when a bowl of oatmeal is what your body craves for, prepare a portion of this low carb noatmeal (no oatmeal). Recipe in this article is based on chia seeds which are very low in carbs and on other hand, are very healthy and rich in healthy fats. 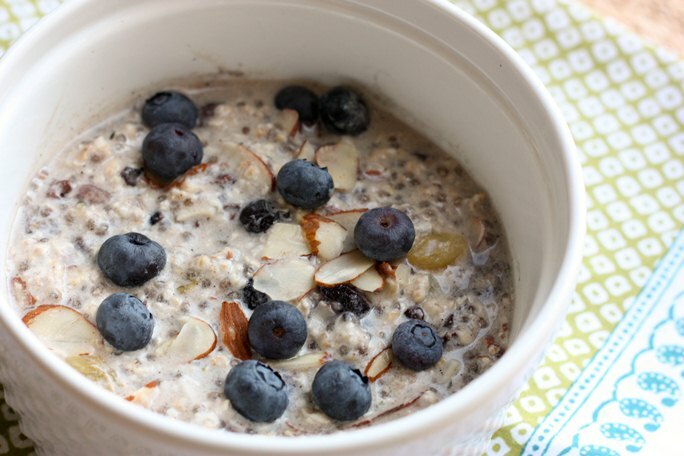 Flax seed can also be used but chia is better, but for that, in some other article. First, as a tip, you can toast flaked coconut and almonds on a dry pan for few minutes to bring more flavor. Add chia seeds, flaked almonds and coconut, shredded coconut and Erythritol into a bowl (keep 1 tbsp of each flakes for topping). Add the milk, of course milk can be warm or cold, depends how you like your oatmeal. Stir good and let it sit for 5 minutes if the milk is warm or 10-15 if milk is cold. Meanwhile, add the vanilla extract and stir well. When is done, top with the flaked coconut and almonds what we kept and with fresh berries. Enjoy in this keto oatmeal. If you like the recipe, don’t forget to share it with your friends.